What is the CLD Standards Council Scotland? 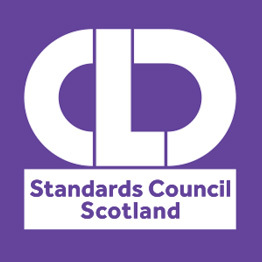 The CLD Standards Council Scotland is the professional body for people who work or volunteer in community learning and development in Scotland. We are a member led organisation. Our approach and work plans to deliver our core responsibilities are defined by our member committees and based on feedback from the wider membership. We are funded by the Scottish Government, with a ministerially appointed Chair. We have a growing membership of over 2000 members. We have an Executive and 3 functional committees which made up of members from across the sector. They set and lead the direction for CLD Standards Council. Find out more about the committees.